Can seat 4 - 6 people comfortably. Standard table height at 30" tall. 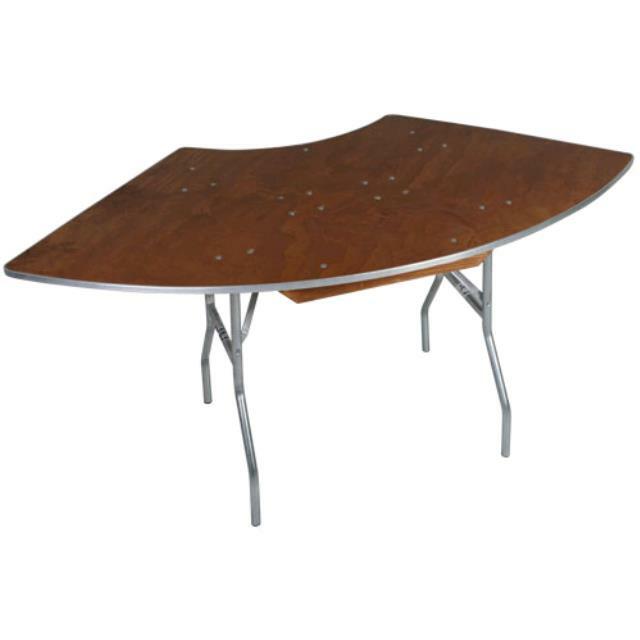 Large Curve Side = 6' 4"
Small Curve Side = 2' 4"
Point to Point = 5' 8"
* Please call us for any questions on our 3 foot x8 foot serpentine table in St Petersburg FL, serving Clearwater, Gulfport, Pinellas Park and the Tampa Bay Area.